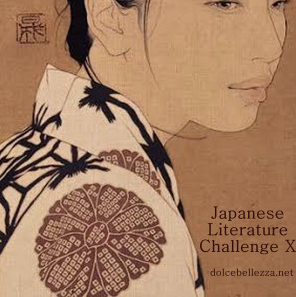 Every year I want to participate in Bellezza’s Japanese Literature Challenge but most of the time I miss it. This year I thought I won’t make plans but if I happen to read Japanese literature, I will join spontaneously. Towards the end of December I felt the urge to read Japanese literature. I enjoyed my first book so much, that I’ve already read two other Japanese books. One is nonfiction, one is literary fiction, and this one, Keigo Higashino’s The Devotion of Suspect X, is a crime novel. 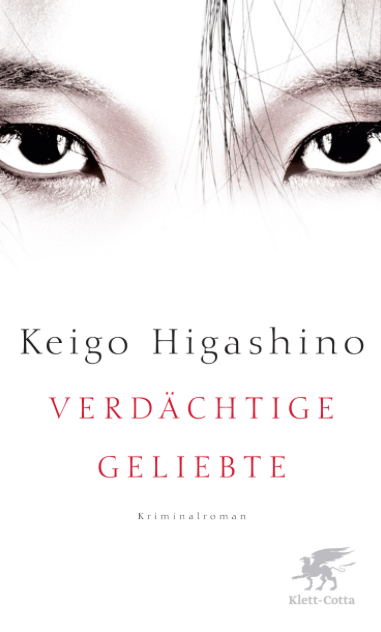 I’d bought the German translation of this book a year ago, but only remembered it when I came across the review of another of Higashino’s novels, Malice, on Guy’s blog. I’m so glad, I finally read it. What a fantastic novel. Unusual and surprising and with such a special atmosphere. I was almost sad when it was finished. The premise is original. For once it’s not a “whodunnit” nor a “whydunnit” but rather a “will they get away with it”. We know from the beginning who is the murderess and why she committed the crime. Yasuko, who works in a bento shop, has killed her violent ex-husband. The only witness is her twelve year old daughter. Or so she thinks. Soon she finds out that there’s another witness – her neighbour Ishigami. She knows Ishigami by sight. Every morning, before work, he buys a bento in the shop where she works. The owners think it’s funny. They are sure he’s got a crush on her. Yasuko never even thought about it. She’s happy she’s left her ex-husband behind and doesn’t work in a bar anymore. Her life with her daughter, her work at the bento shop, fulfill her. She’s not interested in men. Ishigami has heard the fight through the thin walls and interpreted correctly that Yasuko killed her husband in self-defence. Because her daughter is in part responsible for the killing, she doesn’t want to go to the police and Ishigami tells her that he will take care of it. He will provide her with the perfect alibi. When the dead man’s found near a river, the police soon question Yasuko and her daughter. For some reason they suspect her. But almost every element of the alibi holds up. The police also find out about Ishigami and his infatuation, and so the two are scrutinized even more closely. The detective who is in charge of the murder investigation is friends with a famous physician Dr. Yukawa. When he tells him of the investigation, they find out, that Yukawa and Ishigami used to be friends. Intrigued, Yukawa contacts Ishigami. At first he wants to renew their friendship but then he starts to suspect something and starts his own investigation. The story is multilayered and told from different perspectives. It’s also psychologically complex. This complexity is part of the mystery. Yasuko meets Kudo, someone from her days at the bar, and begins a relationship with him. As soon as this happens, everything shifts. There’s the fear Ishigami may betray her out of jealousy. The police suspect her again because they think maybe her new lover helped her get rid of her ex-husband. And Ishigami is afraid that she might tell Kudo something. The whole time, the reader wonders how Ishigami did it. How could he provide them with such an alibi? The end was very different from what I expected. It had two twists I didn’t see coming. While the book works as a crime novel, it’s just as good on many other levels. The characters are unusual and well-rounded. The relationships are complex and interesting. Ishigami, who’s the first narrator, is by far the most intriguing protagonist. Not only because he helps Yasuko, but because of everything else we find out about him. Not an everyday character by any means. It feels like they are all trapped in a web, and every tiny movement, affects them all. Even the police. The possible outcome, the course of the investigation is much more important for the detective than it usually is in a crime novel, because his best friend begins to investigate as well. 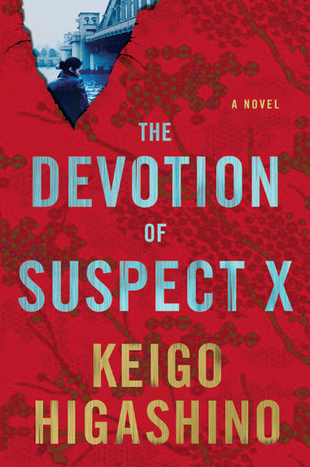 I am crazy about Keigo Higashino, even though I haven’t yet read Devotion of Suspect X. The ones I did read are Naoko, (which really, if you haven’t read that? Stop and read it now. It’s a mind bender that still stays with me), and Salvation of a Saint. However, I am eager to read Devotion of Suspect X, and I love your review. I’m off to add it to the list of reviews, and thank you, Caroline, for participating in the JLC10. You’re welcome, Bellezza. I rediscoverd how much I love Japanese literature. I’m going to read a fourth one soon. I’m very keen on reading more of him. I loved it so much. I’m glad to hear you like him as well. I’ll be looking for your recommendations. Thanks. Thanks, Caroline! You’ve motivated me to delve into Japanese literature. I will put this one down on my list. I’m so glad to hear that. I don’t know any other literature that uses atmosphere and mood the way Japanese literature does. Subtle and cool. And this is so well done. I remember reading several good reviews of this book, but then I forgot all about it. Thanks for the reminder! I’ll have to look for it. Same here. Such good reviews that made me order it and still I forgot it. I’m so glad I finally got to it. Thanks for the mention Caroline. I bought this one after reading MALICE, and I also have Journey under the Midnight Sun which is supposed to be fantastic. You’re welcome. Journey Under the Midnight Sun is the sequel to this. Same detectives. It is very good. Far better than most crime novels I’ve read recently. I read this book a couple of years ago & was instantly enamoured in this writer so much so that I bought Salvation of a saint, which with the ways things go I’ve still yet to read. 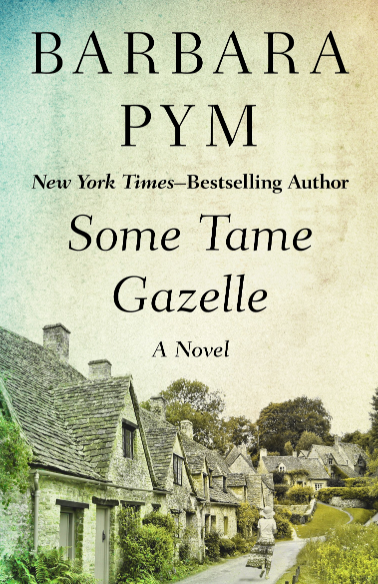 Great review & a reminder to read another of this writer’s work. Thanks, Gary. I’m glad to hear you liked him too. I’m not surprised though. It’s just fabulous in so many ways. I want to read more of him. I’m glad that so many if his books are available in translation. I recall seeing several very positive reviews of this book over the last year or two so it’s great to see you loved it too. It does sound as though it stands out from the crowd on a number of different levels. Great review. Thanks, Jacqui. It does stand out. The longer I think about it, the more things I see. You might enjoy it too. So glad to hear that. Let me know which one you’ll pick next. I read this a few years ago, but it only confirmed my feeling that I just don’t get along with Japanese literature. I think I fail to understand the cultural references and nuances, and sometimes the translations feel painfully bad. I’m glad you liked it so much. It’s always good to find a book that ticks all the boxes. That’s interesting. I think Japanese literature is among my favourites. I’ve read maybe one or two books that didn’t work. I can’t say it’s the translation in this case, although I read it in German, the others who commented and loved it all read it in English. Great review Caroline. This sounds refreshingly different. I really need to read more books from non Western cultures. Higashino sounds like a good place to start. Thanks, Brian. Refreshing nails it. I felt like you at the end of last year, so now I’m really reading books from many different cultures. Higashino is accessible but at the same time very Japanese, so indeed a good place to start. This does sound good. Given that I like both Japanese literature and crime fiction I really should try it! In that case, yes. I hope you’ll like it as well. I’m beginning to get a taste for Japanese fiction though am very much in the early stages so have added this book to my wishlist! I really hope you’ll enjoy this. So glad you enjoyed this! Higashino is one of my favourite authors and the will the get away with it aspect is absolutely brilliant! I’m glad to find another Higashino enthusiast. Do you have a favourite novel? This one has a brilliant premise. I’ve read most of his books that’re translated into english except Midsummer Equation. Hopefully I’ll be getting that this year. I did enjoy Naoko and Journey Under The Midnight Sun. I actually have a post on his books https://booksandstrips.wordpress.com/2016/06/08/keigo-higashino/ if you’re interested. Yes, thanks for the link. I’ll have a look later. And thanks for the recommendations. Anytime. I hope you enjoy them. I’ve read Salvation of a Saint by him and I loved it. 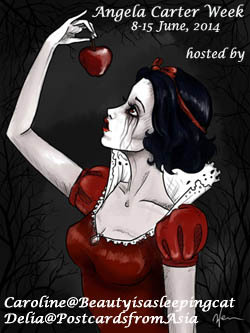 This one and Malice seem just as good. I think Salvation of a Saint is the sequel to this one but one can certainly read them independently.